In clinical practice, swelling is a commonly encountered health issue for many physicians. Despite its regularity, effective treatments are considered relatively recent developments. Today, with the advent of alternative therapies, benign cases of swelling can be completely eradicated. Capisette has been developed to provide you with the most potent blend of proven nutrients, proven to reduce swelling regardless of the severity. Whether your swelling is caused by an underlying condition, or simply from sitting or standing too long on a regular basis, Capisette provides you with an effective means to control your swelling. HOW Do Supplements Help with Swelling? Grape seed extract (Vitis vinifera), standardized extract, 360 mg two times daily, for antioxidant support. The condition occurs when certain forces increase capillary permeability or interstitial oncotic pressure. To simplify matters, the swelling occurs as excessive fluid under the skin accumulates in the spaces within the tissues that are outside of the blood vessels. These spaces may also be referred to as compartments or interstitial spaces. The body's many organs also have these interstitial spaces, or areas between the cells, where fluid can accumulate. However, swelling most commonly occurs in the feet and legs. This type of swelling is known as peripheral swelling. There a multitude of internal and external influences that can lead to swelling in the feet, legs, ankles, and other parts of your body. Treatments for swelling are focused on reversing the underlying disorder, if there is one present. Secondly, dietary and lifestyle modifications, such as limiting sodium chloride (salt) intakes, are recommended. Lastly, many physicians implement diuretic therapies. Diuretics are used to decrease the amount of water in your system by increasing the flow of urine. Dependent: Swelling localized in the face, arms, neck, and possibly, the legs and ankles. Periorbital: Indicates swelling around the eyes. Corneal Stroma: Swelling of the cornea. Anasarca: Term used to denote generalized swelling. Preeclampsia: A condition occurring in nearly 5% of all pregnancies, which causes high blood pressure, fluid accumulation within tissues, and the loss of albumin in the urine (albuminuria). It is important to note that diuretics are usually employed as a last resort, usually after all nonpharmacologic approaches have been exhausted. Alternative therapies, like Capisette, are increasing in popularity and are becoming the primary method of treatment after a diagnosis has been established. As well, as a result of not resorting to the immediate use of diuretics, your doctor ensures that any potential nutrient deficiencies or lifestyle and dietary factors have been accurately addressed. Capisette goes above and beyond replenishing the system with the nutrients it needs to combat fluid retention. and providing an anti-inflammatory effect throughout the body. By regulating your body's delicate fluid balance with Capisette, your body becomes balanced, and subsequently, helps you to feel normal again. One of the three major electrolytes in your body which may be helpful for swelling by regulating the flow of fluids into and out of your tissues and cells. 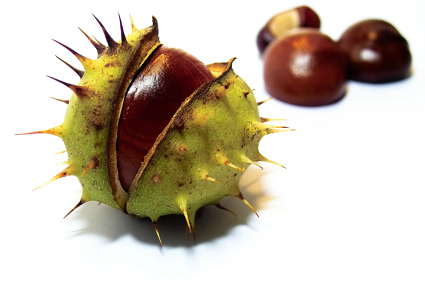 Studies report that horse chestnut may be able to reduce leakage of fluids from the capillaries while promoting overall circulatory health. Has been used to enhance circulation while improving blood flow. *My swelling first became noticeable after I had been on a prescription medication called Pariet. It was for my hiatal hernia...My old doctor had me on it for 4 years. I started having all kinds of side effects one of which was fluid retention. My new doctor stated that it took 4 years to get this way and it will take time to get rid of the excess water. After coming off the Pariet (cold turkey), within 6 weeks my legs and feet had drained but my abdomen and back still retain fluid to this day. I have tried manual lymph gland drainage to no avail. I have tried hydrochlorithiazide-which helps some but not much. The capisette helps the most. I restrict my salt intake for the most part so am not sure why the swelling is still prevalent in my abdomen. I have had a thorough physical and am healthy. I am in my eighth year of menopause. So, not sure if this helps but maybe you will discover something else which might work better. Like I said, the capisette has been helping the most. When I first started taking it- I took 2x the amount for the first month, then have cut it back to what it states on the bottle. Is still working. So. There you have it. Thanks for the great product. *I have to tell you how pleased I am with the results I've received with the Capisette product. For years I have had swelling in my ankles, especially my left one. There was no health reason for this and I was sure that it was hormonal. No doctor would even consider this and when I researched cause and concluded that I had idiopathic swelling, they didn't want to hear it. I found your website by accident and tried the Capisette. Within a week my ankles were back to normal and have remained that way for the most part. I am so happy that I have finally found something that will help with this problem. Thank you. *I just want to let you know that the supplement (Capisette) you sent to help with my swollen ankles and feet has worked really well. I have only been taking it for three days and I can finally see my ankle bones again. Thank you so much! *THANKS such great product. After talked to doctor about my swelling, he decided that I did not need medication for my case. I took Capisette for leg swelling. The swelling went down in a matter of weeks. The product worked great! How to Reduce Edema - 3 Videos!